Tuition Information: Undergraduate residents $5,208, nonresidents $13,560; graduate residents $7,280, nonresidents $12,916 for the 2011 – 2012 school year. Tuition does not include undergraduate fees of $1,062 or graduate fees of $1,013 per year. Graphic Design students at East Tennessee State University complete core courses in drawing, 2D and 3D design, color theory and art history before beginning the Graphic Design program. Students must apply to the B. F. A. program when they have completed more than 21 but fewer than 44 credit hours in art. Upon acceptance, they continue with coursework in typography, commercial art, visual communications, illustration, photography, computer art and design and displays and package design. All students create a portfolio and senior exhibition. M. F. A. candidates may specialize in Graphic Design. This studio-intensive program includes coursework in research methods and art history. All students must create a thesis project and pass oral examinations. Students in the New Media Studio program focus on experimental media, digital media as art form, methods of research in studio and new media studio. All students complete a graduate seminar and create a capstone project, paper and presentation and a final exhibition. Technology students who choose the Digital Media concentration complete courses in methods of research in studio, new media communication and research, character animation, raster-based imaging, interaction design, web design, 3D special effects, project management, modeling and lighting, motion tools and experimental media. All students must create either a thesis or a research project. Art, merit and need-based scholarships are available, as are graduate assistantships. Lab fees may apply for art classes. Residents of border counties in North Carolina and Virginia may be eligible for tuition reduction. A portfolio is required with the application for the M. F. A., M. New Media Studies and Technology programs. 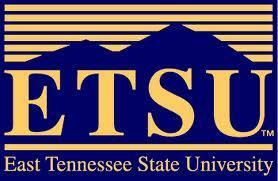 Tennessee residents may apply for state-sponsored scholarships and grants.